Gabrielle Hils is a litigation lawyer in Dinsmore's Cincinnati office. Gabrielle's diverse experience and knowledge of complex litigation, including class action proceedings, has allowed her to guide a variety of clients through the legal labyrinth, ranging from small manufacturers to multinational corporations. With a thorough understanding of multidistrict, class action and mass tort proceedings, she is adept at tailoring her approach to meet the unique needs of her clients. 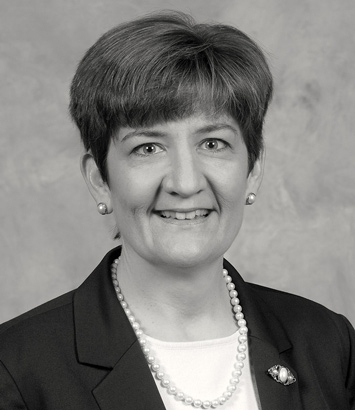 She has developed her skills over many years of service as a lead case management attorney directing pretrial discovery and motion practice in product liability actions filed in state and federal courts throughout the country. As a tenacious litigator, she effectively manages large volumes of cases to successful conclusion. By leveraging an understanding of science, medicine and the law, Gabrielle has helped many clients find success in multidistrict litigation proceedings including MDL 1507: In re: Prempro Product Liability Litigation, MDL 1023: In re: Diet Drugs (Phentermine/Fenfluramine/Dexfenfluramine) Product Liability Litigation, MDL 1057: In re: Telectronics Pacing Systems, Inc., Accufix Atrial "J" Leads Product Liability Litigation, and MDL 926: In re: Silicone Gel Breast Implant Product Liability Litigation. Additionally, she has defended companies in toxic tort and premises liability cases, mitigating the client’s risk while finding the appropriate resolution to meet the client’s goals in an efficient and cost-effective manner. Gabrielle is a frequent author on topics relating to defense of mass tort and class action litigation. Her articles have been featured in nationally-recognized publications, including DRI’s In-House Defense Quarterly.